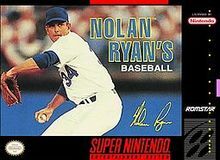 Nolan Ryan's Baseball for Super Nintendo allows you to select from a variety of teams. You can adjust your teams batting, throwing, running, pitching, and stamina levels. If you have gaps in the lineup, you can sign free agents or look to make a trade.